4R’S Electric was originally founded by Rob Colantonio Sr. in 1976 as 4R’S Electrical and Mechanical Contracting. While working full-time in the commercial and industrial field, Rob Sr. would spend nights and weekends helping friends, neighbors, and local businesses with their electrical needs. 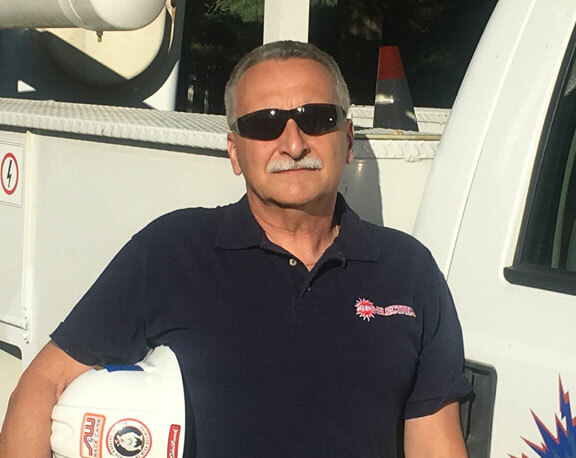 In 2009, upon completion of his training, Rob Jr. took his father’s side business and transformed it into a full-time thriving electrical business under what is now 4R’S Electric Inc.
For over 40 years Rob Colantonio Sr. has worked in the field of maintenance and operations for commercial and industrial facilities. His skills and knowledge include managerial, electrical, air conditioning, refrigeration, plumbing, welding, carpentry, and auto mechanics. He started his career as a maintenance electrician for a local construction outfit where he completed his 4-year apprenticeship and became a journeyperson electrician. He then moved on to working for a Philadelphia based shipping company where he became chief engineer. Here he dedicated over 30 years of service supervising, installing, repairing, and maintaining all building machinery and equipment. He holds a Philadelphia Class A Engineers License, has been certified as a master electrician, and is well versed in building code use and application. After retiring in 2010, he began to help out his son with the rapidly growing 4R’S Electric Inc. Since 2005 Rob Colantonio Jr. (RJ) has worked in the electrical field. He started his career as an apprentice sweeping up jobsites and running tools. While paying his dues, Rob Jr. soaked in all the knowledge from working on various residential, commercial, and industrial jobs. He worked for two local electrical outfits, and completed his 4-year apprenticeship in 2009, becoming recognized as a journeyperson electrician by the Pennsylvania Apprenticeship and Training Council along with the Federal Committee on Apprenticeship. Upon completing his apprenticeship, he decided to take his father’s electrical side business and make it a full time business. 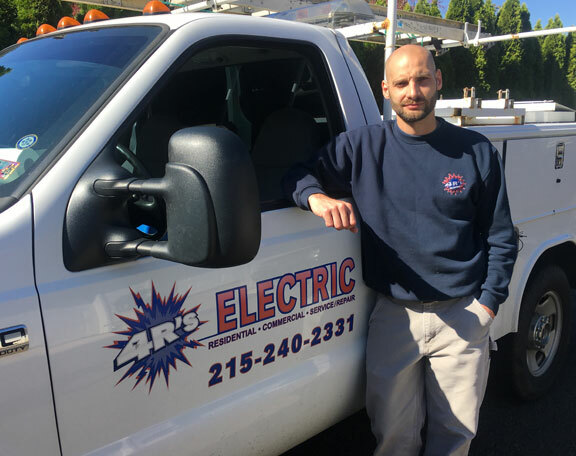 Starting with just a handful of customers, along with a little hard work and dedication, Rob Jr. was able to make 4R’S Electric a name homes and businesses in the Philadelphia area can rely on. Rob Colantonio Jr. is a registered electrical contractor with the city of Philadelphia. He achieved his master electrician status in 2012 after successfully passing the International Code Council Pennsylvania Master Electrician Exam. He also holds an OSHA 30 Safety training certificate. Rob Jr. has also been certified in the application, design, specification, and installation of Lighting Controls by Lutron. He has successfully completed his certifications for Generac and Kohler to be an authorized service technician.